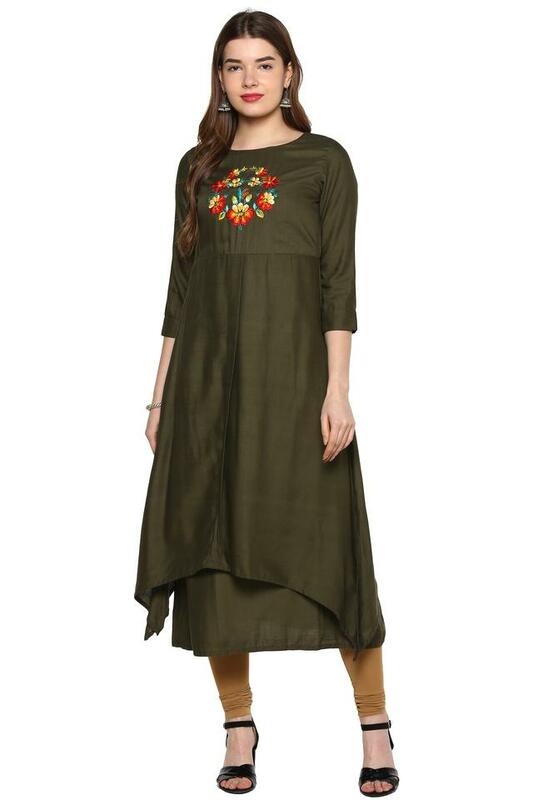 Look simple yet stylish by wearing this double layered kurta from the house of Haute Curry. 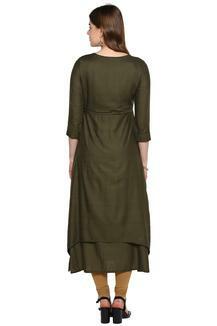 Tailored with good quality fabric, it promises to keep you at ease all day long while also ensuring easy maintenance. 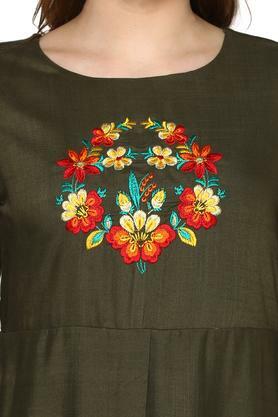 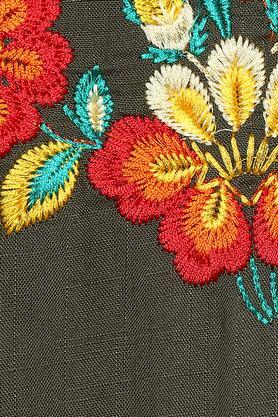 Besides, it sports a embroidered pattern, round neck and three quarter sleeves that lends it a classy appeal. Revamp your ethnic wear by draping the pretty double layered kurta. 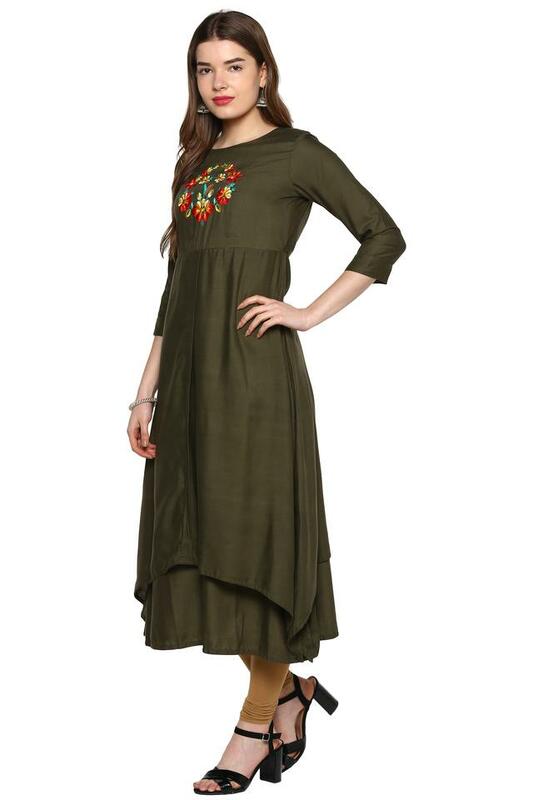 Get the perfect look for any occasion by wearing this kurta with a pair of leggings and peep toe shoes.